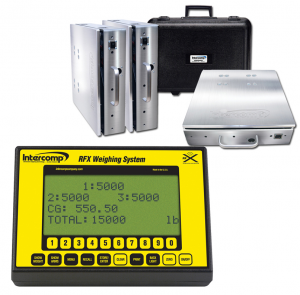 The Intercomp Aircraft Scale are specialty scales that offer a low-cost yet reliable scale system available to operators for weighing light aircraft to determine the center of gravity. 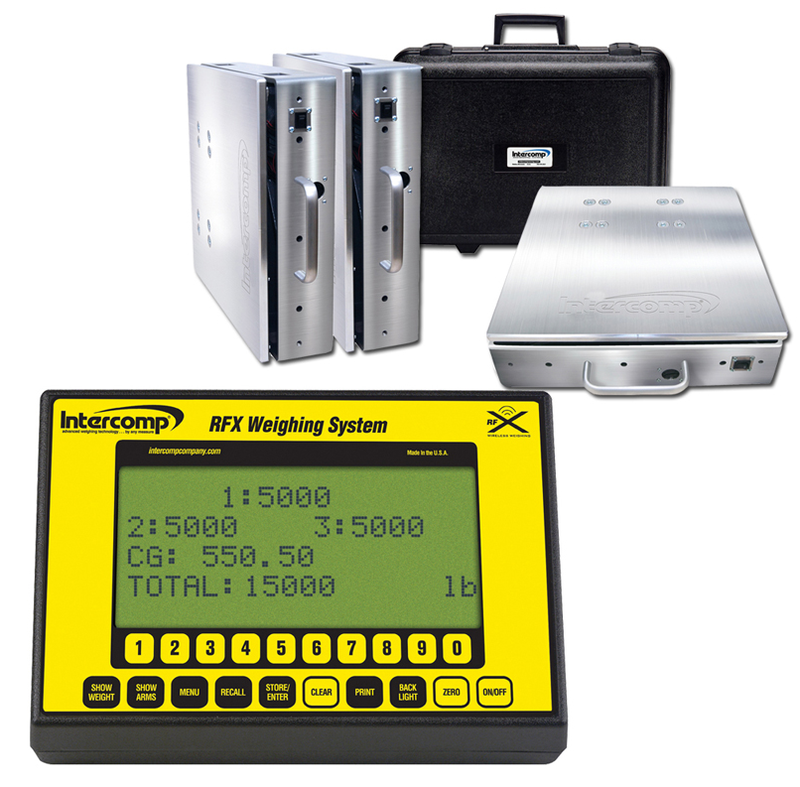 The Intercomp aircraft specialty scales system consists of three ultralight platform scales and is cabled to the ACII indicator. The large LCD screen allows you to display each platform and total aircraft weight. Other push-button controls include on/off, percentage of weight, and zero. This high capacity platform scale is the industry standard in advanced weighing systems for aviation.